This is Food Allergy Awareness Week, so I’m doing my part the crafty way. 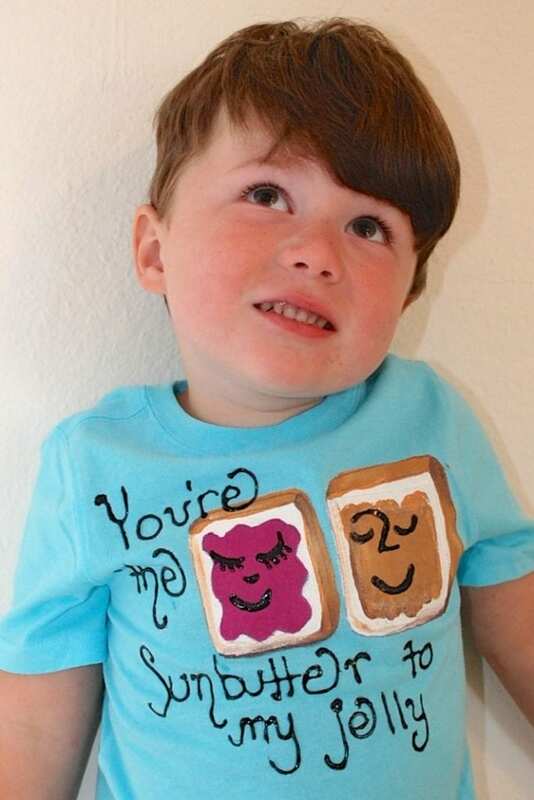 As scary as food allergies can be, helping raise awareness about them does not have to be. Crafts are fun, crafts spread a message, crafts can get a serious point across in a not so serious way. Did you know 15 million Americans have food allergies? My son is one of them. There is probably one in your kid’s classroom, as 1 in 13 kids now has a food allergy. Some, like my son’s, are life threatning. Sunbutter is the peanut butter alternative we use in my nut free home. 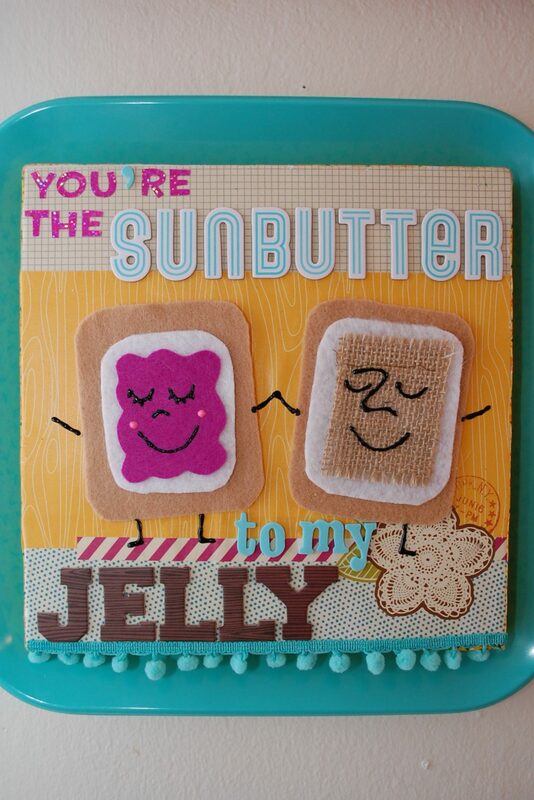 I thought what better way to let people know about Food Allergy Awareness Week than to let Baxter know that he is the Sunbutter to my jelly. Check out this adorable DIY hanging sign version as well. 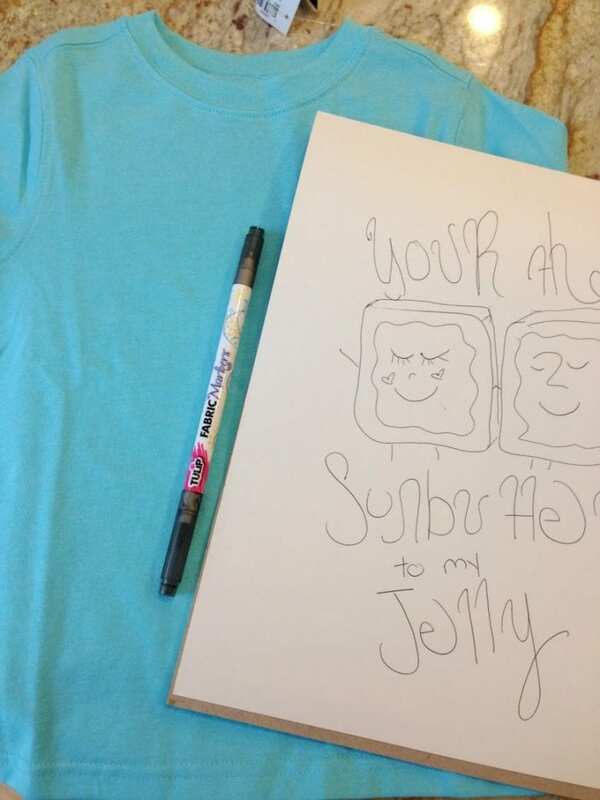 You might first try sketching out your design for your food allergy awareness slogan on paper. 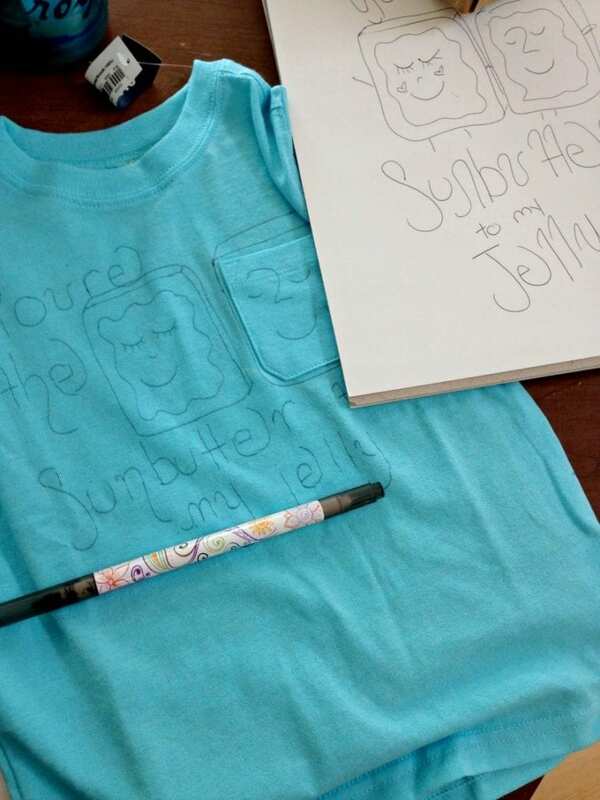 Once you have your concept (feel free to use my “You’re the Sunbutter to my Jelly” idea) draw it on to your T-shirt using a fabric marker. Crafting making you hungry? How about some dairy free Sunbutter and banana ice cream sandwiches. Stretch the T-shirt over a piece of cardboard or put some thick paper between the front and the back. This will prevent the paint from bleeding through. Fill in the design with fabric paint just like you were coloring in picture. 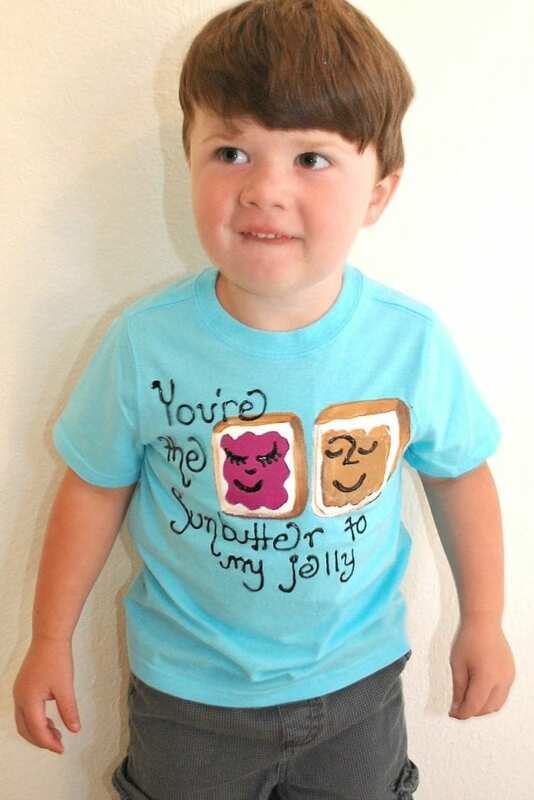 Soft fabric paint was used for the sunbather and jelly sandwich and a more raised paint did the text. P.S. 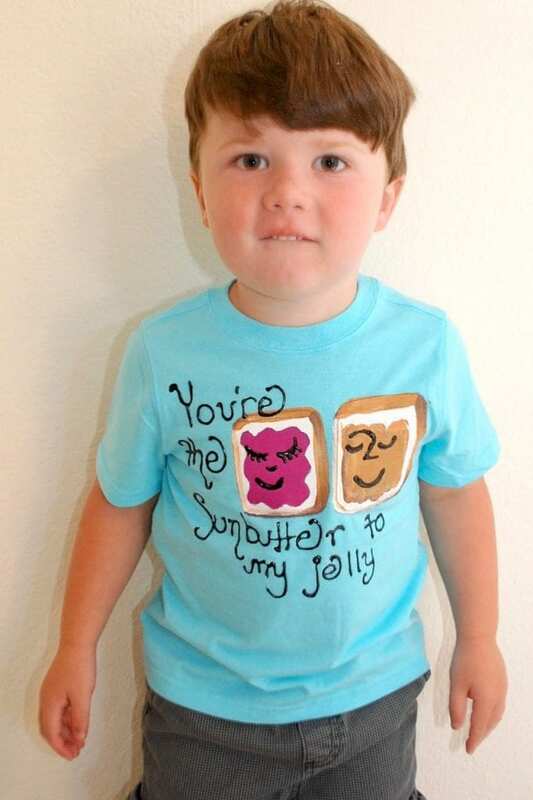 Send your kid off to school with a new food allergy awareness T-shirt AND a DIY Peanut Free Classroom Sign made with crayons. Maybe your little has an allergy to milk, shellfish or tree nuts – you can always tweak the design and concept. Again, food allergies are very serious, but reminding people about them in the hopes of raising awareness does not have to be. If you are planning a vacation be sure to pack your new T-shirt and also read this article about Tips for Traveling with Food Allergies. Pretty sure my little loves his new shirt. Heck, I want one of my own. 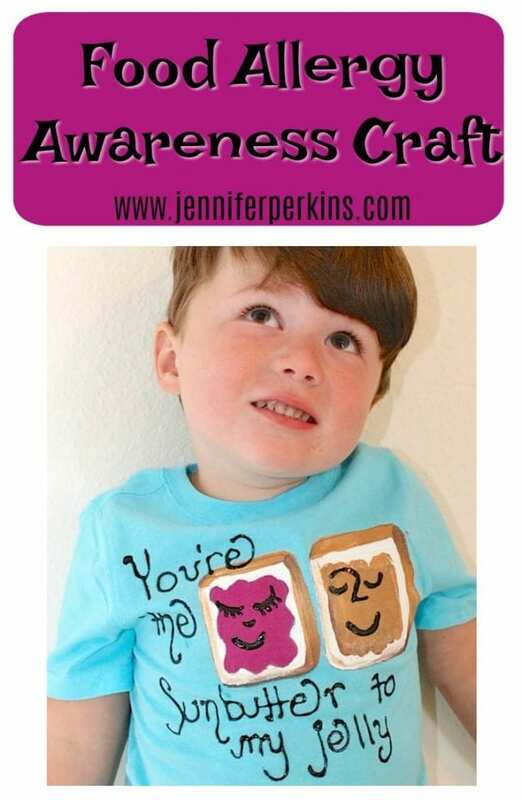 I’m here to spread the food allergy gospel the crafty way – how are you recognizing food allergy awareness week? Posted May 15, 2014 & filed under Crafts, Home Décor Crafts, Kids Crafts, Wearable Crafts. Your son is growing up so fast and a real cutie! Sorry to hear about the food allergy.